We've already written about Richmond's Hollywood Cemetery and how it is the final resting place for James Monroe and John Tyler, two former Presidents of the United States; Jefferson Davis, the only President of the Confederate States of America; Dave Brockie, the lead singer of GWAR; over 18,000 Confederate Army soldiers; and a possible vampire. The grave of Bernadine Rees can also be found there. 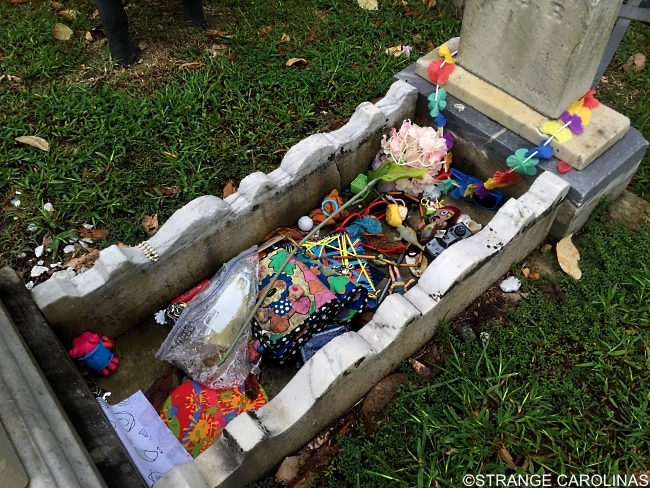 Two-year-old Bernadine died from Scarlet Fever in 1862 and her grave is often found adorned with trinkets, toys, rings, flowers, and stones. But what makes Bernadine's final resting place so compelling is that it is guarded by a black iron dog. How did it get there? According to the Richmond Times-Dispatch, "Before the Civil War, the Richmond dog stood at a storefront, possibly that of photographer Charles R. Rees, whose name is on the cemetery plot. Children loved it, including his niece over whose grave it now stands. 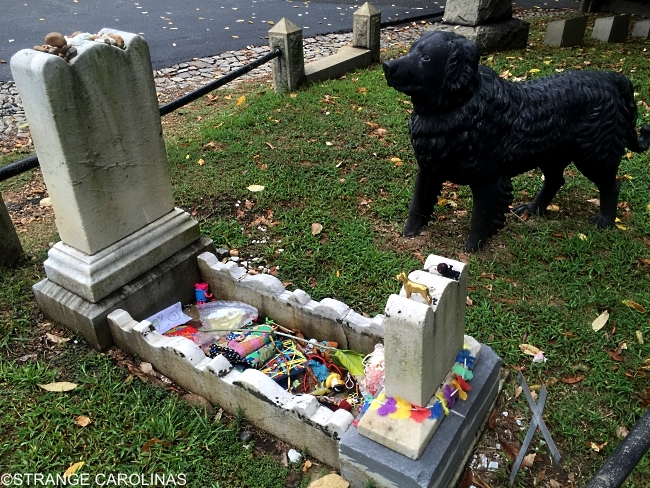 By moving the dog to the cemetery, Rees may have saved it from destruction. The Confederate government was requisitioning metal objects such as bells and statues to make weapons, but cemetery monuments were exempt." 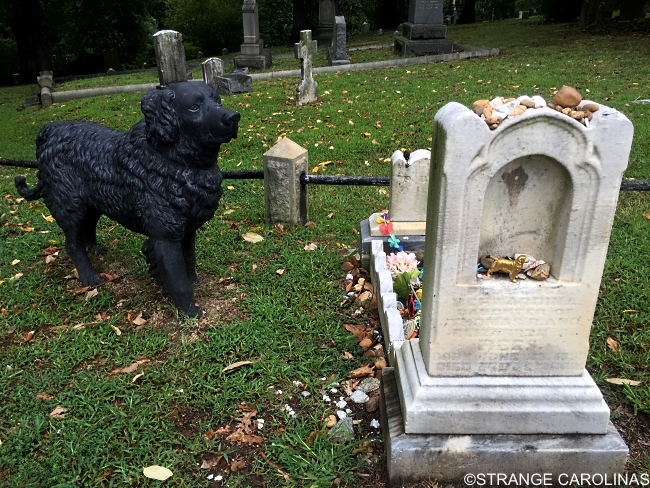 But that's not all: according to the website Colonial Ghosts, people have heard growling if they get to close to the gravesite and some claim to have seen the dog move. As you can tell by our photos, we did get fairly close to the gravesite and did not encounter any growling nor did we notice the dog move. But truthfully, we were more concerned with getting attacked by that vampire.